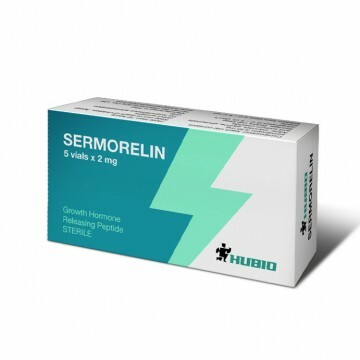 Sermorelin is a peptide that stimulates the production of growth hormone. The original formula of Sermorelin had 40 amino acids in its composition and the half-life was only a few minutes. Since that time is insufficient to increase the concentration of growth hormone, the formula was modified and thereto was added four more amino acids. Now half-time is within half an hour which is enough for the required action. total rejuvenation of the body. The course of the peptide can be performed as a solo and combined. Average daily dosage is about 100-200 mg and it should be divided into three injections. Injections should be made subcutaneously or intramuscularly, usually a spot for injection is stomach. The first injection is made immediately after waking up follow through every 4 hours, but after a meal you should wait an hour at least. To obtain the maximum anabolic effectSermorelin is combined with other peptides, such as GHRP-6 or GHRP-2. This combination will lead to a tripling of the result. The cycle in this case should last from six to twelve weeks. Keep the vial containing the peptide is best neat, dry state in a freezer. In this form the substance is stored up to five years. After dilution with water for injection the peptide should be stored in a refrigerator without freezing up to ten days. If the powder is diluted with bacteriostatic water, its shelf life in refrigerator is up to one month. 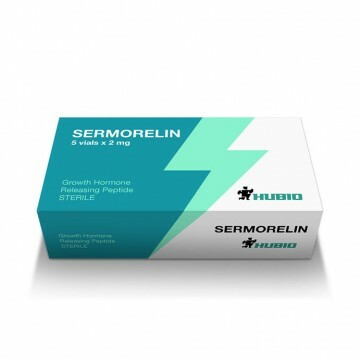 Sermorelin has predominantly positive reviews and is used by athletes in different kind of sports.